You can rely on us to take care of your equipment. ​​​​​​With over 14 years of experience as pool builders, we give you valuable advice on how to keep your pool in good condition. We will stress all safety points, operating principles, water treatment, etc. Our team operates in Montignac, Montélimar, Sarlat-la-Canéda, Brive-la-Gaillarde and the surrounding areas to optimise the maintenance of your pool. We also sell swimming pool accessories to individuals and professionals (camping, gîte, hotel, private residence...). Maintaining the quality of your pool is synonymous of well-being, health and safety. We carry out all activities related to the maintenance of swimming pools such as following and respecting all the necessary techniques to effectively remove all impurities embedded in your equipment. Rely on our professionalism for guaranteed success in the maintenance of your pool. You can rely on us to ensure user comfort and safety. Swim in perfect conditions thanks to our services. 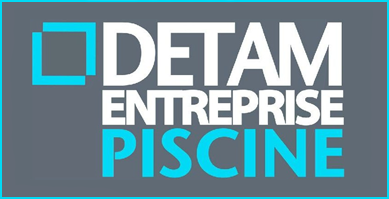 In addition to the sale and construction of swimming pools, Detam Entreprise Piscine is also an industry leader in the maintenance of swimming pools and spas. We have a wealth of knowledge and experience in routine maintenance work, winterisation and even commissioning. We remain available should you require any further information or a quote. Extend the lifespan of your pool by entrusting its maintenance to DETAM PISCINE. We have the necessary equipment and knowledge to meet your expectations.